Perrenia home exterior accents create the visual details that can transform a plain-looking facade into a memorable home with distinctive appeal. This extensive collection of shutters, lineals, corner posts, half-rounds, vents and mounts provide options that compliment any taste. And because Perrenia products maintain their beauty for many years, you’ll not only enhance the appearance of your home, but its value as well. 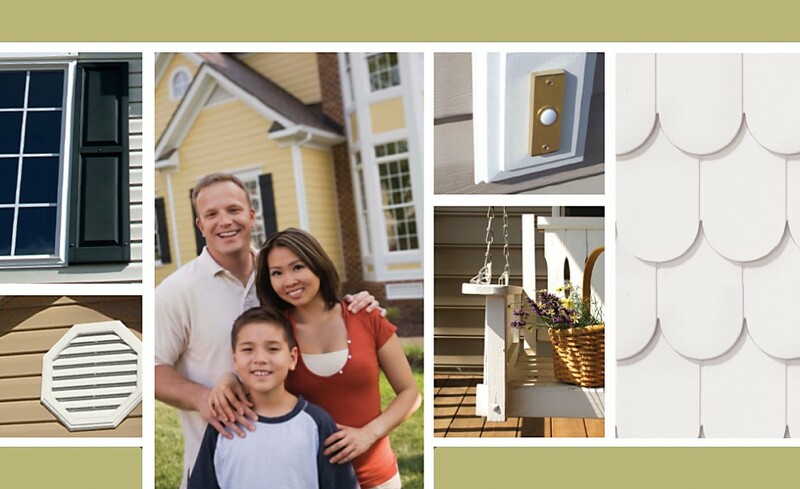 All Perrenia products are offered in an attractive range of popular colors and are manufactured to precisely match Style Crest® vinyl siding colors eliminating the possibility of a color mismatch. With Perrenia, it’s never been easier to add those distinctive touches to your home. Long-lasting beauty, durability and nearly maintenance-free performance is what you can expect from Perrenia products.